If you have followed me for pretty much any length of time, you know that infertility is so dear to my heart. I had no idea that infertility would be a challenge that I would face in my life, and it has been miraculous to see how God has used it as a tool to help shape my life and connect with others. I know that it’s easy to say this now, looking back, but even while going through it I could see the gifts that were being given to me because of it. I am a better mother because of infertility. I am more patient with my precious babies because of infertility. I don’t think that everyone going through infertility needs it to become a better mother, but I think that I needed it to develop the impossibly deep gratitude and reverence that I now have for the role of motherhood. It was a gift to me because it makes every single day that I have with my kids even more special. I remember on the hard days that I wouldn’t trade my children for anything: more sleep, less stress. It’s ALL worth it because they bring more joy to me than I have ever known. I started my blog back in 2014 sharing recipes and good deals. Little did I know that God had a bigger and better plan for this space. 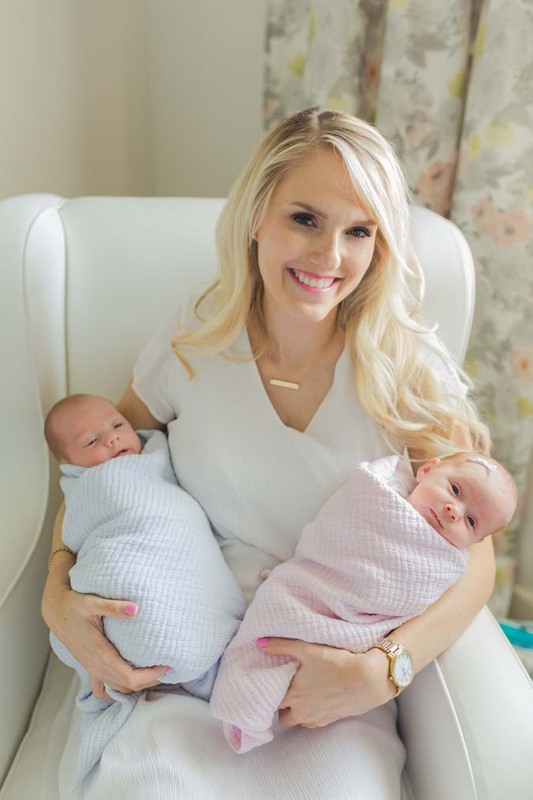 I shared our entire 3rd round of IVF (after doing 3 IUI’s and 2 other rounds of IVF without telling many people) with letters to our future child (now children – hi Harris and Goldie!) If you haven’t yet, you can access all of those letters under the “infertility” tab at the top of my blog. If you click here, you can read the letters, just scroll back to the very start. While going through that 3rd round of IVF, I felt so grateful that I had insurance that paid for most of it. This is extremely rare. I worked for a large corporation called EMC at the time and although going through infertility was difficult emotionally and physically, I was and am so grateful that it wasn’t a struggle financially as well like it is for the majority of couples going through it. I threw a small fundraiser during that time for a couple that I used to live by. They had been trying to conceive for over 10 years and they are now pregnant!!! Nothing makes me happier. Last year I started to think about how I could help others going through infertility. Family is why we are here on Earth; learning and growing and loving together. Not being able to grow your family is excruciating. I felt overwhelmed when I thought about it. Where would I even start? 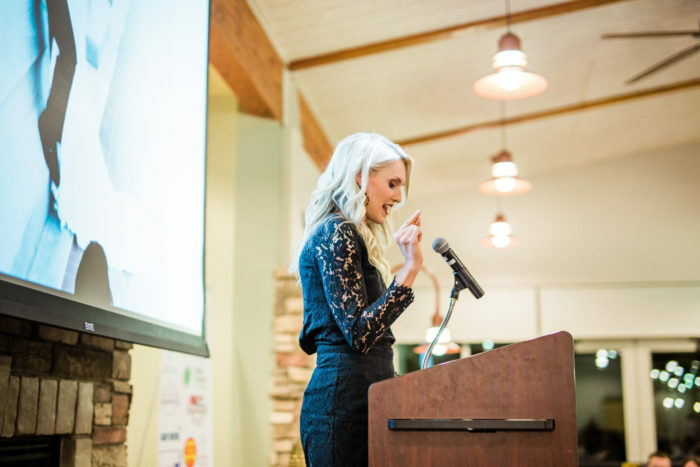 I spoke at the 2nd annual Bundled Blessings Fertility Foundation dinner auction last fall. 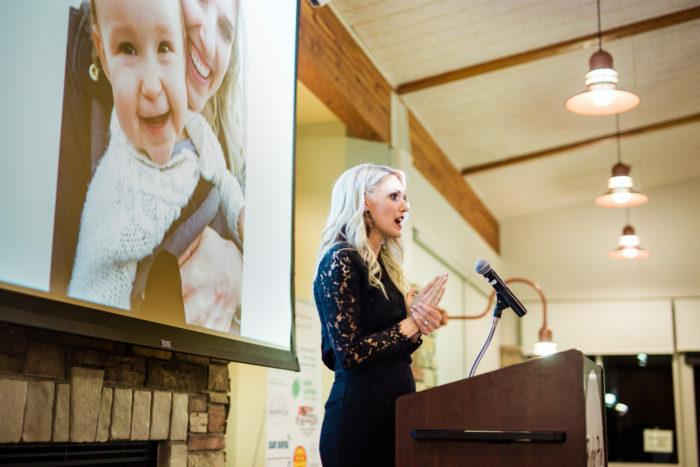 This organization is founded by women who have also experienced infertility and have since been able to have children, and now want to help ease the burden of others. 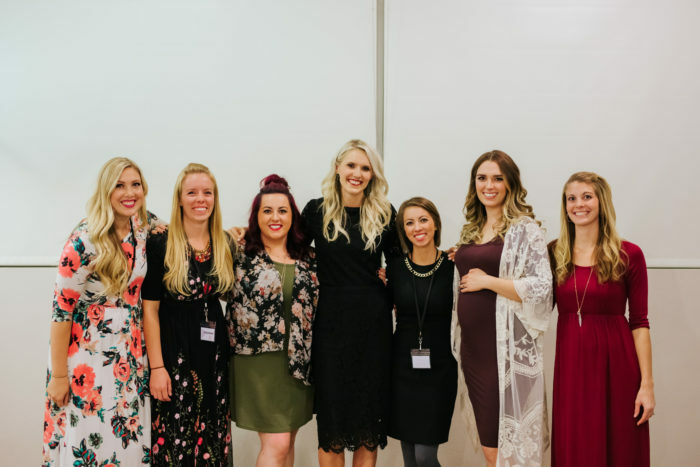 It was miraculous to see these women come together and work tirelessly to help these couples. They are women just like you and me!! No one told them to do this, no one gave them permission or pushed them along. THEY DECIDED THEY COULD MAKE A DIFFERENCE AND STARTED!! I called Kamryn in December and said, “Let’s do it! I’m ready!” I know for certain that God answered the prayer in my heart. These women had set up this nonprofit and figured out a way to help others. They are the answer to my question of, “where do I even start?” They were leading the way! Teaming up together is two puzzle pieces that need each other and make so much sense. 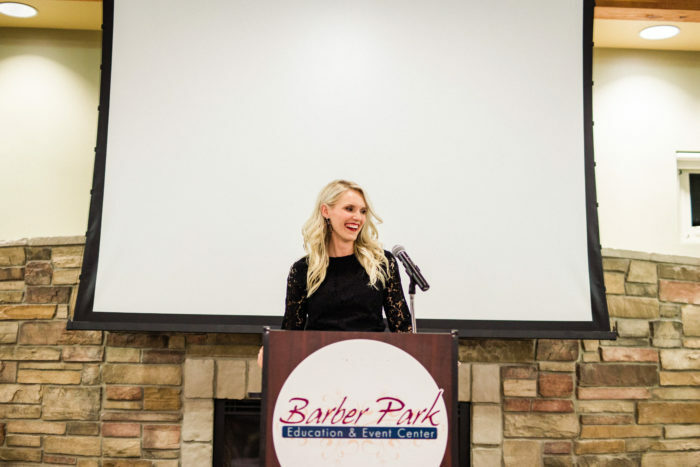 FERTILITY DINNER AUCTION IN UTAH!!! I have received countless emails from incredible women who are looking for answers on how to start their families. 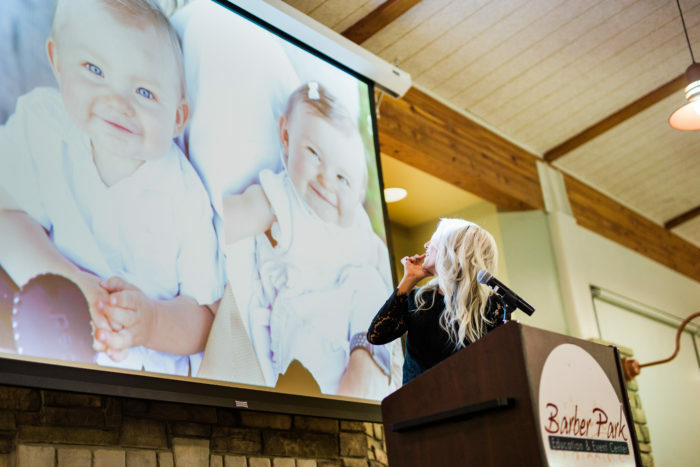 We are going to bring the Bundled Blessings Fertility Foundation Dinner Auction to Utah this year on September 8th at Eleve Event Center in Pleasant Grove, Utah!! 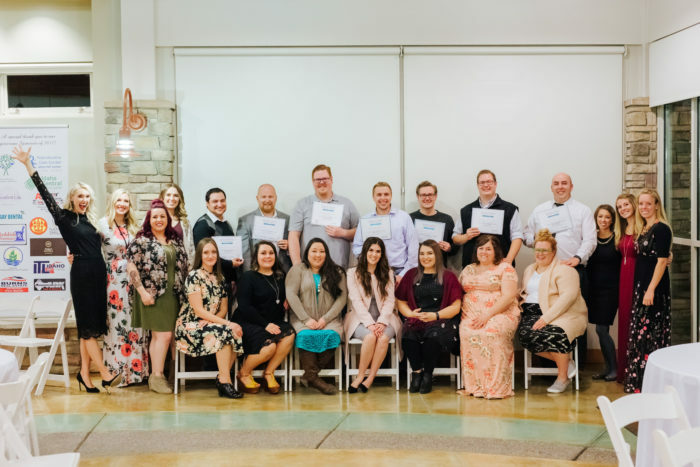 We will be working HARD over the next months to raise as much money as possible to give away as many grants as possible to those couples who are looking to grow their families. It could be you! Who qualifies? Read about the grants here. How do I apply? You can view the grant application process here. How do I earn tickets to the raffle once I am accepted? With your application fee, you get two tickets into the dinner auction and two tickets into the lottery. To get more tickets into the lottery, each person that buys a ticket and says they are supporting you awards you one extra ticket into the lottery. This allows you to build a team of support! April 22-29 is National Infertility Awareness Week. We are going to be doing a HUGE push on April 25th on social media for everyone to donate $1. Just one dollar! I can see us raising tens of thousands of dollars in one day doing this. I need your help to spread the word that day!! I don’t care if you have 1 follower or 100,000 followers on social media. Sharing this link: https://www.bundledblessingsfertility.com/donate, and asking people to donate just one dollar will make a HUGE difference in the recipient’s lives! We will be able to give someone the potential to live their dream in starting a family. We need companies to donate items to raffle off at the silent auction! If you are a company that is interested in donating, or you have a connection to a company that is interested in donating, please email me a jenica@asliceofstyle.com! We are looking for a company to donate dinner that night for 200 people. This is a HUGE ask, but we want as much of the money raised as possible to go to the grant winners. If you have a connection to a restaurant that would be interested in this, please email me at jenica@asliceofstyle.com. Thank you! I am SO beyond excited to help some deserving couples start their family. We are going to do BIG THINGS TOGETHER, girls!! Thank you for being here and being on my team so we can lift one another up! This is so amazing!!! I love this idea and I love that you have taken it on. You are a rockstar! Thank you so much for your support!! We can’t do it without incredible women like you who help spread the message. THANK YOU! We are going to do such big things together! Wow, amazing work! So glad you’re using your blog to do something for people struggling with infertility. I am from Norway, and here most of the interfertility treatment is free. I have written here before, thanking you for the enormous inspiration you have been during our infertility journey. You have really helped me to me more positive for each treatment. And now, I am actually pregnant. Much of it thanks to the amazing job by the infertility doctors, but I also think my positive attitude has helped me during our last round. Congratulations, Jeanette! I am so happy that you are pregnant. Your encouraging words mean more to me than you know. THANK YOU!! Good for you girl! I was lucky enough to have insurance to cover my 6 IVF cycles as well, however having to end up using an egg donor to get pregnant I eventually leaned the other side of it since egg donors are not covered & we had to pay out of pocket for her costs. I had to take a loan out on my 401k which I absolutely hated to do, but it was 100% worth it! This is really amazing that you’re using your voice to help others! I am a Monat Market Partner & would be happy to donate some products to the cause. You are amazing, Elena!! Thank you so much for donating! It means so much to us and we are going to do huge things together!! THANK YOU!! JENICA!!! I’m in. I want to help spread the word and donate and attend the event. Tell me how else I can help. I’m so grateful that infertility brought you into my life! We’ve just started the process for IVF round two and I promised myself I’d do it with more faith and less fear this time. Iwant to spread all the good vibes to others and support you however I can. Let’s also grab lunch sometime soon! Love you so much. THANK YOU!!! You have always been SO supportive and incredible! I really, really appreciate you! We will talk! You are amazing!!! I would love to help in anyway I can! Please let me know what I can do!! I’ve also made a few calls seeing if we can get some help as well! So I’ll keep in touch! Thank you so much! I would love your help spreading the word about the $1 donate day on April 25th!! Jenica, this is so great. I want to help! I’ll be in touch. Than you so much, Brooke! I would love your help! This is so amazing. I want to help. After struggling for two years (I have two children already and am so blessed) to expand our Family and all of the emotions that go along with the loss of each pregnancy, I want to do anything I can. The $1 drive happens to be the day before my daughters birthday so that whole week just feels extra special. Danielle – THANK YOU so much for offering to help! We would LOVE your help in spreading the word about our $1 donation day. THANK YOU a million times thank you! We could not do this alone.